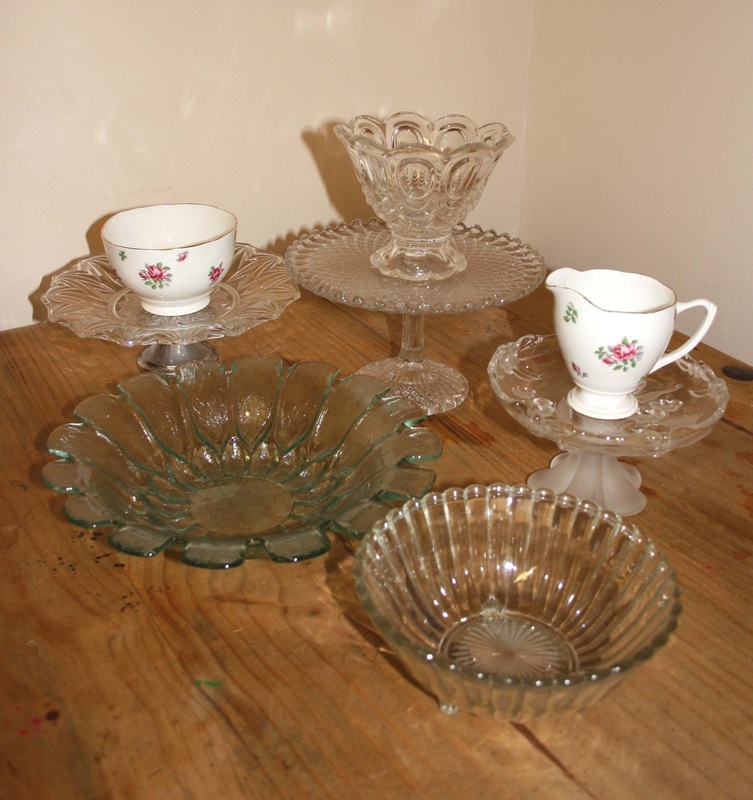 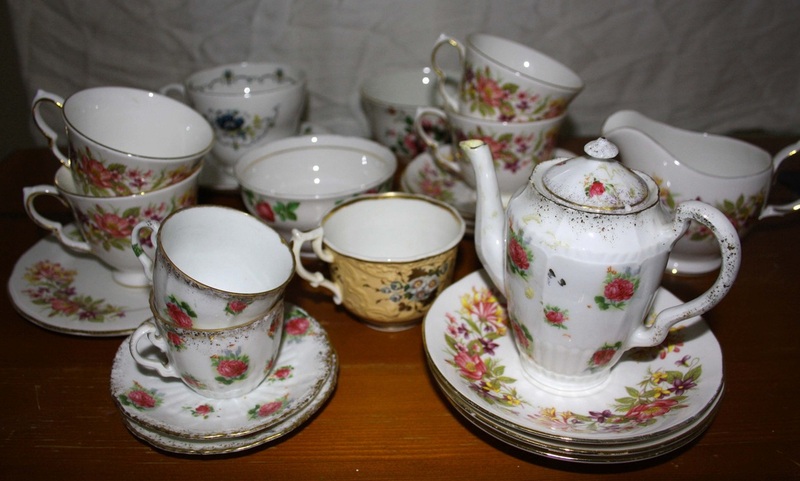 Here at KJ Wedding Decorations, we are expanding our collection of vintage style crockery (tea cups, plates, saucers, sugar bowls, milk jugs, cake stands, jam jars - plain and decorated - cutlery and glass bowls) every day. Collected in mix-matched sets, our selection of crockery for hire is on-trend and adds that important vintage style to any tea-party themed wedding. 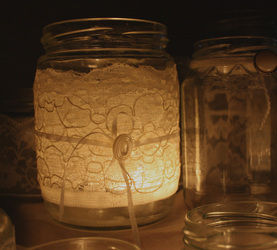 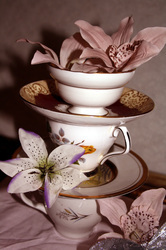 Stack tea cups and saucers as quirky table centrepieces, style tea cups with floating candles or use a teapot or vintage jam jar as an alternative vase. 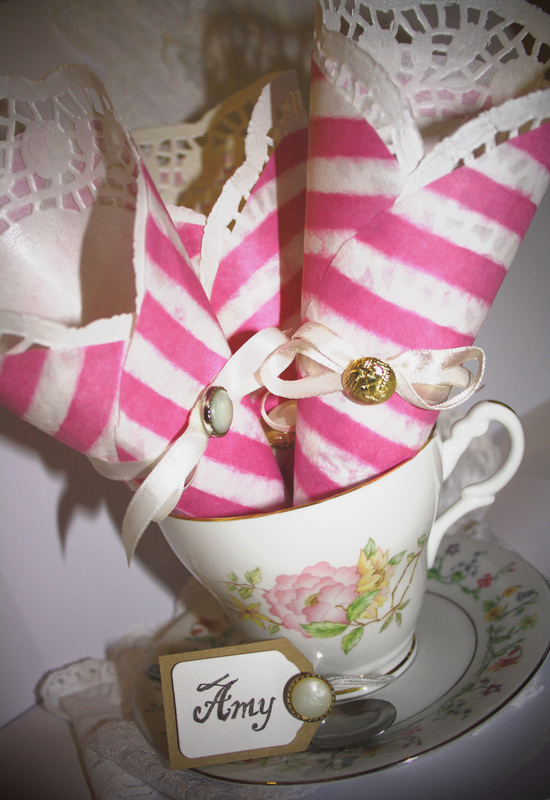 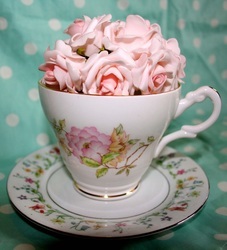 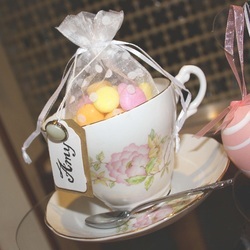 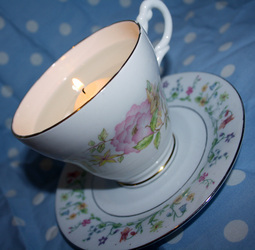 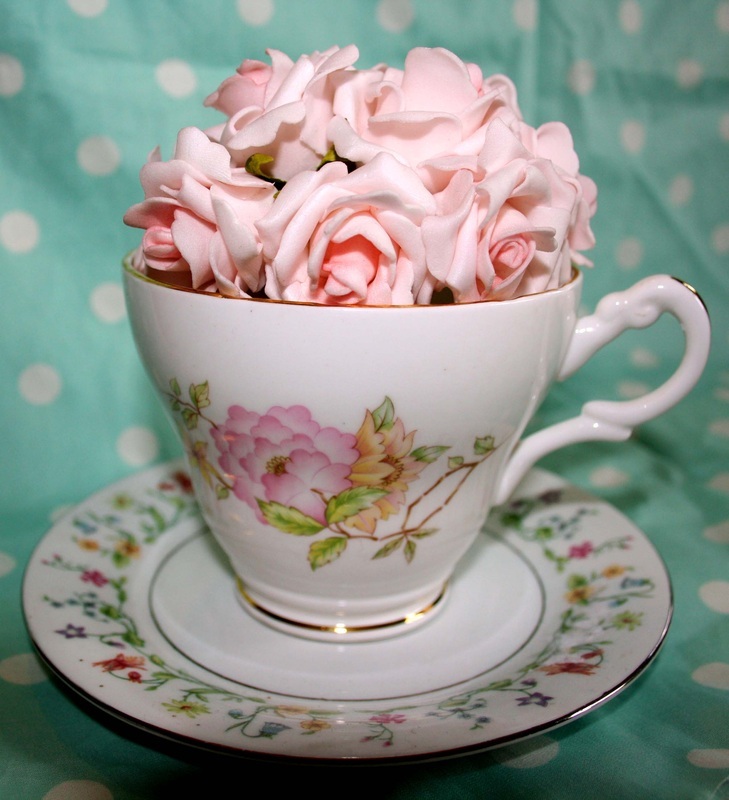 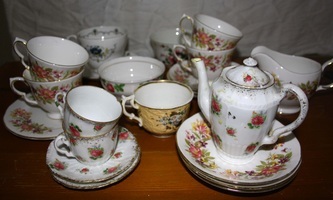 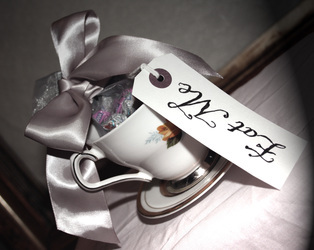 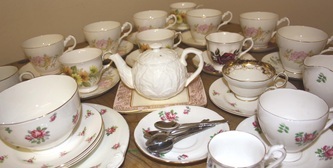 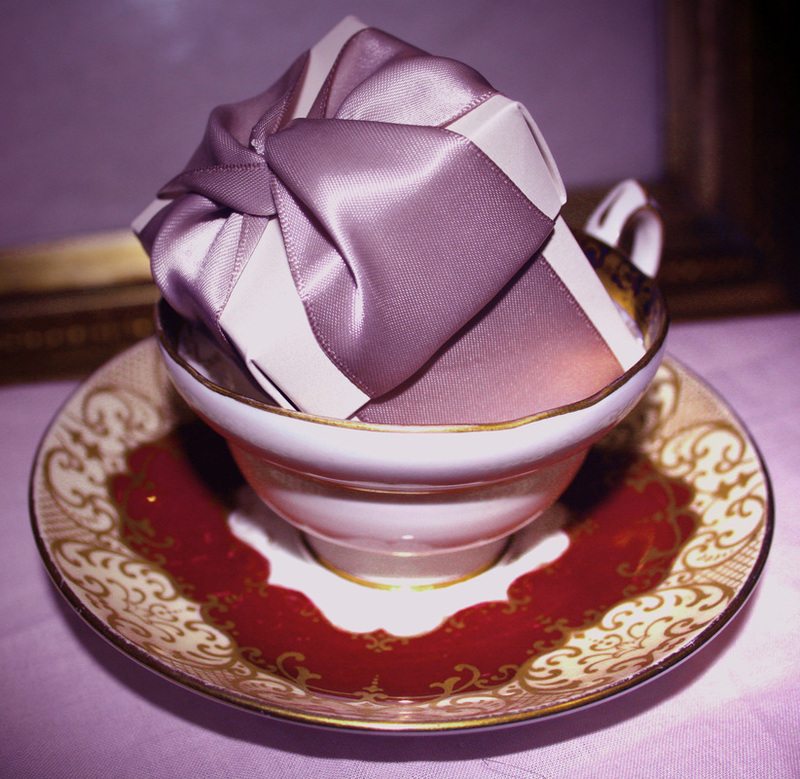 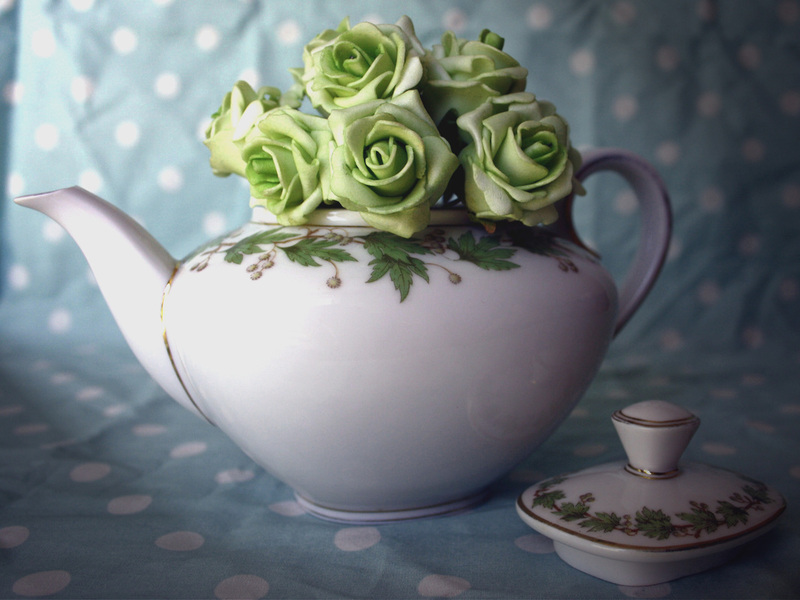 There are so many ways to dress vintage style crockery - why not use tea cups as place card/favour holders?